‘Revista Interiores’: one of the most widely known trade journals in its field in Spain. An epic venue, Neptune Palace in Madrid. A select panel of judges made up of interior designer Pascua Ortega, designer and Chairwoman of FAC (the Association for the Promotion of Art & Design) Nani Marquina, Director of Marca España Darío Ortega, architect Benedetta Tagliabue, Design Manager of El Corte Inglés’ household department Ana Fernández, and architect Juli Capella. Leading companies, successful entrepreneurs and prestigious designers were singled out for awards. Designer Lorenzo Castillo was acknowledged for his international career; Karim Rashid received the Best Designer’s Award; Javier Mariscal was singled out for his career in Spain; Natuzzi was named the best design company, Luxor cinema the best audio, video and home automation company and Saint-Gobain Glass the best glazing specialist; Orac Décor received an award for the most versatile material and Velux for the best windows. 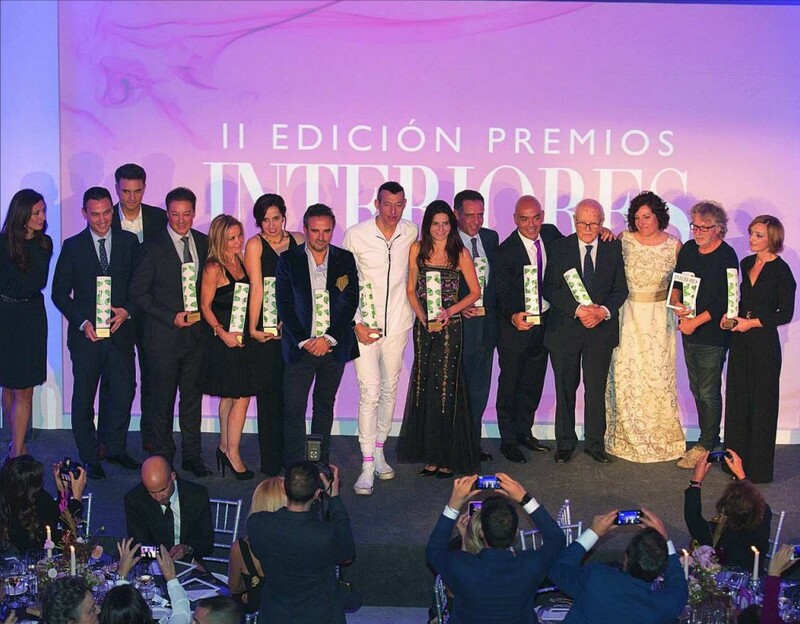 And the best news of all: Keraben Grupo was chosen to receive the Best Flooring Award. I hope this distinction spurs us on to continue striving to offer the very best of us.